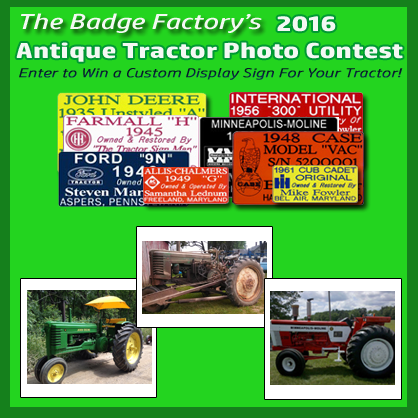 2016 Antique Tractor Photo Contest! Step 2 – In the comment section below the contest poster at the top of our Facebook page, add a photo of your favorite antique tractor. Please include the tractor year, make, and model in your comments. The tractor must be 1985 or older!! Deadline to enter is Sunday, December 11, 2016 at 11:59 p.m. EST! Last day to vote is December 14, 2016. After we review all the votes, the winners will be announced on Sunday, December 18, 2016.